BRYAN EATON/Staff photo. 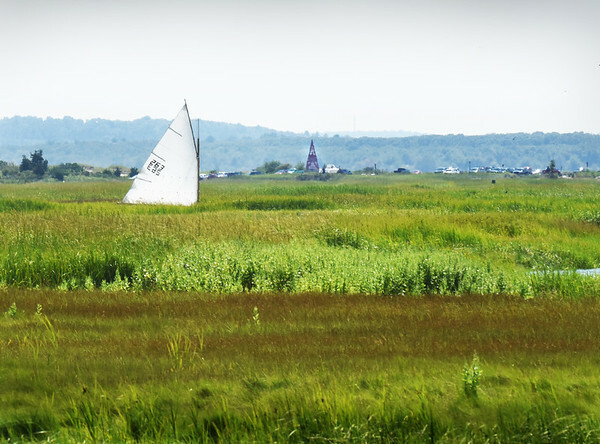 A sailboat seems to be stranded in the marsh at Salisbury Beach State Reservation on Wednesday afternoon. It was actually being sailed expertly through the extremely meandering Black Rock Creek back to the Merrimack RIver. The navigational aid, Ben Butler's Toothpick, can be seen to the right of the vessel.